In the interest of attaching things to other things, today we printed briscoe28's s-caribiner from Thingiverse. 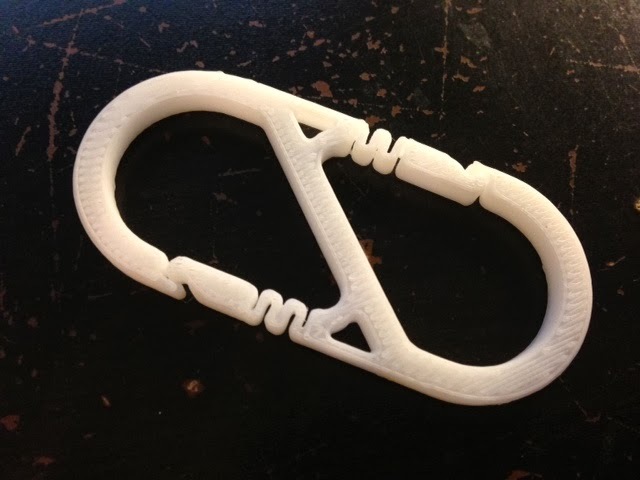 It's interesting how the flexible bit works; this is a very nice design, which I guess is why it was a "Featured Thing" on Thingiverse today! Settings: Afinia low/.3mm in just over 10 minutes.